A critical factor of a newborn lamb’s survival is its ability to maintain its body temperature. During cooler, or windy Spring months, a lamb can quickly lose heat which can prove fatal. Small lambs, such as those born in triplets or quadruplets lose heat much faster. For a newborn lamb to produce enough heat, consuming enough energy is essential. 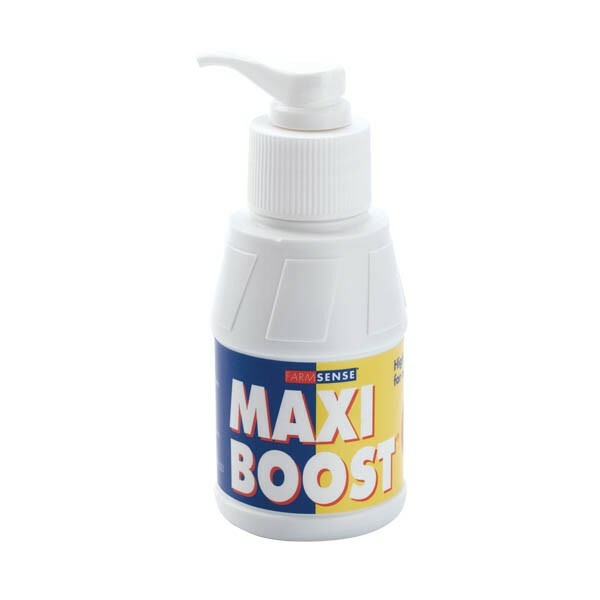 Maxiboost provides multiple sources of energy to meet the high demands made by the newborn lamb. Energy supplementation is critical at around 12 hours post birth. After around 12 hours, the lamb has used the energy stores it was born with and now depends entirely on the energy it can synthesis from food intake. A unique high energy boost for new born lambs which are weak, distressed or in any way below par. A thick dark brown liquid. Precautions Store in a dry place between 15-25°C. Packaging 100ml polypropylene bottle with 2ml plunger pump in a 12 bottle display case. 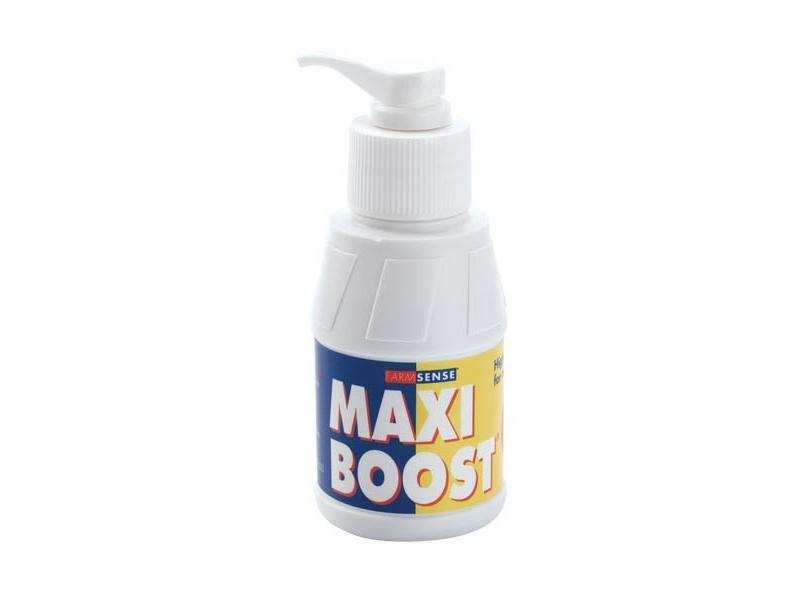 Health & Safety As far as is known or anticipated there are no hazards associated with the correct use of MAXIBOOST®. Propan 1,2 diol, Beet molasses, Aqua, Glycerol, Cider vinegar, Methylparabens, Ethylparabens, Potassium sorbate, Xanthan gum, Calcium carbonate, Polyoxyethylene (20) sorbitan monooleate, Sodium citrate. INVERT AND SHAKE WELL BEFORE EACH USE. Give 4ml per day directly down the throat. There are currently no questions for FarmSense Maxiboost Lamb Energy Supplement - be the first to ask one!